Hello, dusk. Performing poetry on the High Line. 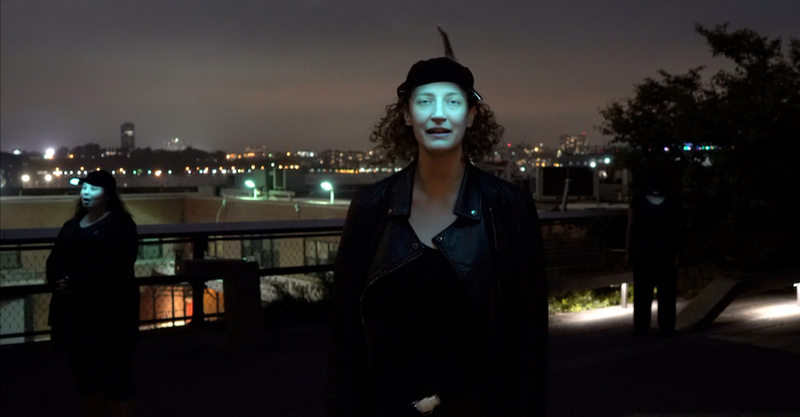 Bringing together the work of two of the most important poets in the United States, Anne Carson and Claudia Rankine, Diller Scofidio + Renfro, along with the Pulitzer Prize-winning composer David Lang, co-created a great public performance on High Line of New York. The Mile-Long Opera is citywide public engagement project that brought together 1,000 singers from across New York to speak poetry on one mile of the pedestrian walk, designed by the architecture studio. The performance took place from October 3rd to October 8th 2018. What is The Mile-Long Opera about? It is a biography of 7 o'clock, the time of dusk. "The work focuses on the changing meaning of 7:00 pm, the time the performance begins each evening, and a time that represents a transition from day to night, when people shift from one activity to the next. It is also a time traditionally associated with family, stability and home, yet today, those associations are less predictable" the dedicated website. The performance is an ambitious, collective, free choral work that shares personal stories from hundreds of New Yorkers about life in our rapidly changing city. The stories, in fact, are first-hand interviews with New Yorkers from all walks of life: the libretto by Anne Carson and Claudia Rankin can be read at this link in its all striking beauty. It contains lines such as "Nowadays it's all lighted like a movie set, but I used to love going up on the tracks at dusk. Watch the night come in. Watch the edges dissolve. That was a darkness you could lean against" by Anne Carson or, this one written by the prize winner Claudia Rankine: "Between us there is my dining table from 1924... It was my grandmother's and I moved it from Elkhart to Minneapolis in 1991, then moved it to Chicago, and then moved it to Boston. In Minneapolis I had a bunch of the old leaves to it refinished. What is my relationship to desire? It can be made to be very long this table of mine". Individual experiences are filtered through their sensibility and reflect unique ways of coping with the contemporary condition—anxiety, humor, nostalgia, vulnerability, joy, and outrage—that together form a biography of 7 o'clock. This video cast a light on the DS+R's High Line in New York, presenting it as a place for people, a truly public space were stories are not only collected but also performed. High Line's project was one of the biggest hits of the recent architecture studio's production and one of the new "iconic" place of NYC. Elizabeth Diller commented, "after working on the design of the High Line for over a decade and witnessing the rapid transformation of the surrounding area, I thought a lot about the life cycle of the city—its decay and rebirth—full of opportunities and contradictions. This vantage presented an opportunity for creative reflection about the speed of change of the contemporary city and the stories of its inhabitants. The park will be a 30-block-long urban stage for an immersive performance in which the audience will be mobile, the performers will be distributed, and the city will be both protagonist and backdrop for a collective experience celebrating our diversity."